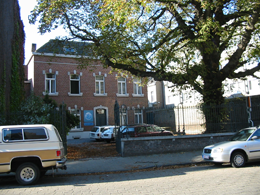 More than 30,000 children and 10,000 adults treated since early Christmas 1983, 42 permanent employees, 310 beds in several houses – these are the impressive figures of the Centre for Audio-Psycho-Phonology in Sint-Truiden, Atlantis (position: January 2017). 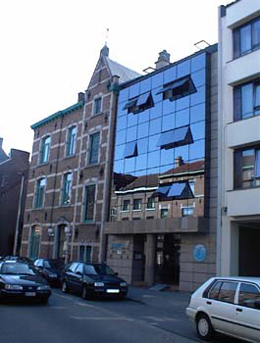 The success story of Jozef Vervoort and the APP in Sint-Truiden began with the treatment of two children in his private house (Photo top). Five years later there was not enough room due to the demand for listening therapy and the first premises, just a couple of streets away from the private house, were rented (Photo center). 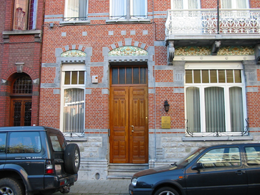 Four years later, on 22 June 1996, the centre moved lock stock and barrel into the former Hotel Regency in Schepen de Jonghstraat (Photo below), not far from the Grote Markt. Today the Atlantis Institute is the world’s largest centre and is popular with people from many countries. Treatments are carried out 363 days a year – only Christmas day (25.12.) and New year’s day (1.1.) are "listen-free". The youngest listening guest has been a two-month old baby and the oldest a 95-year old senior citizen. Atlantis, a not-for-profit association, offers its guests a variety of accommodation, ranging from single rooms to apartments for six people, and varied meals in its cafeteria. Especially in demand are places in the holidays. Early reservation is therefore recommended.